A Well-Seasoned Life: Quick Chicken and Artichokes from "Too Hot in the Kitchen"
Quick Chicken and Artichokes from "Too Hot in the Kitchen"
I've never considered myself a "light" cook. In fact, I've never been attracted to light cookbooks just because I thought that light recipes consisted of steamed veggies and sugar substitutes. But, when I flipped through Holly Clegg's Too Hot in the Kitchen, I was surprised to find so many recipes that attracted me and I realized that I do cook fairly lightly (most of the time). While I bake with butter, I don't cook with it. I use olive oil and chicken broth on a regular basis. Since I don't eat cheese, that product never touches a dish that I cook. So, not only did I find a lot of recipes here that I want to try, I also felt a little better about myself when I realized that I have always made healthy choices in my cooking. 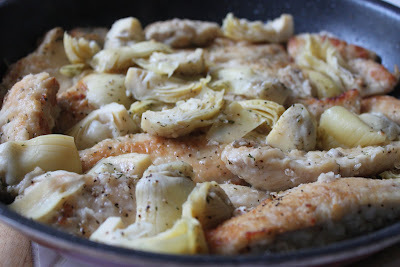 One of the recipes that I tried out was this one for Quick Chicken and Artichokes. My husband and I both love artichokes. Between the artichokes and the dill weed, this dish had a nice little tang to it. We loved it! It's the perfect dish to whip up after a long, busy day at work. It comes together very quickly and is so comforting. 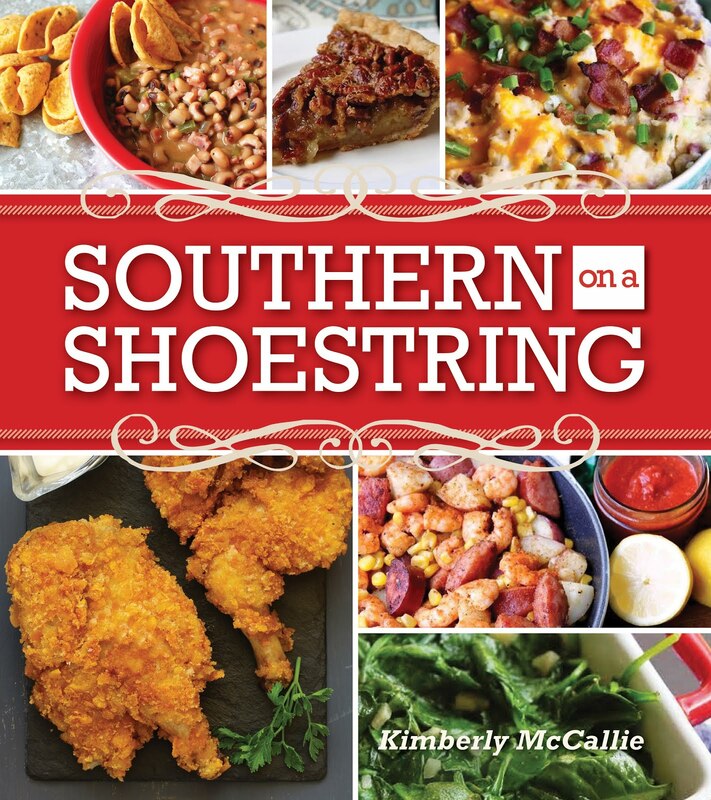 Stay tuned as I share another delicious recipe from this cookbook, Blackberry Chicken. In a small plate, combine flour with salt and pepper; coat chicken strips. In large nonstick skillet, heat olive oil and cook chicken over medium high heat, until lightly browned on each side, stirring, 5-7 minutes. Add broth, scraping sides of pan, reduce heat, and add lemon juice and dill. Add artichokes; continue cooking 5 minutes longer or until chicken is tender. 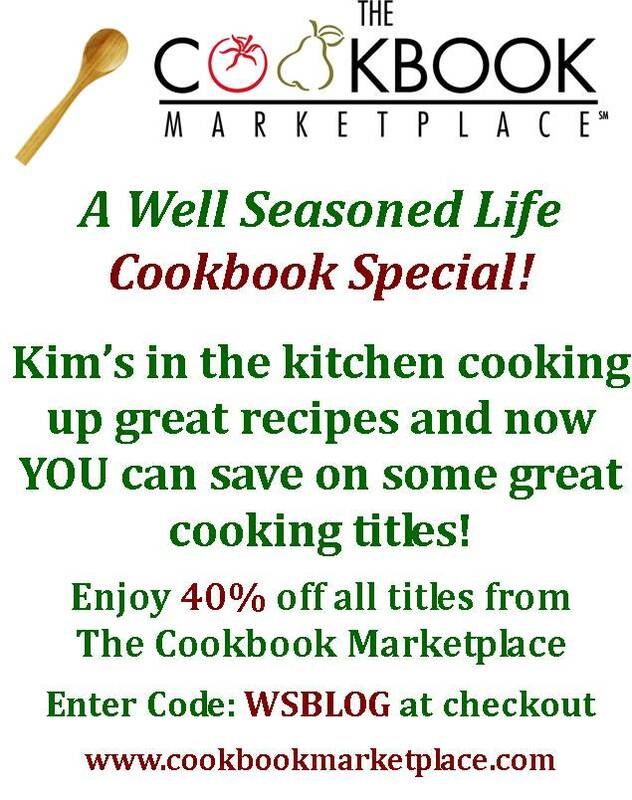 For this and many other tasty cookbooks, visit The Cookbook Marketplace. Enter the code WSBLOG for a 40% discount. 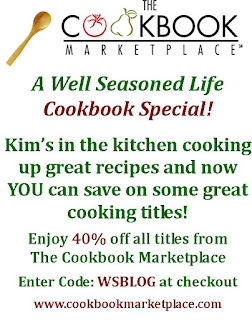 Disclaimer: I was provided with a copy of this cookbook by cookbookmarketplace.com; however, the opinion expressed here is my own.